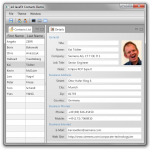 On Monday, January 23th, I am going to talk about some cool features of the Google Web Toolkit (GWT) at the OOP 2012 conference in Munich. 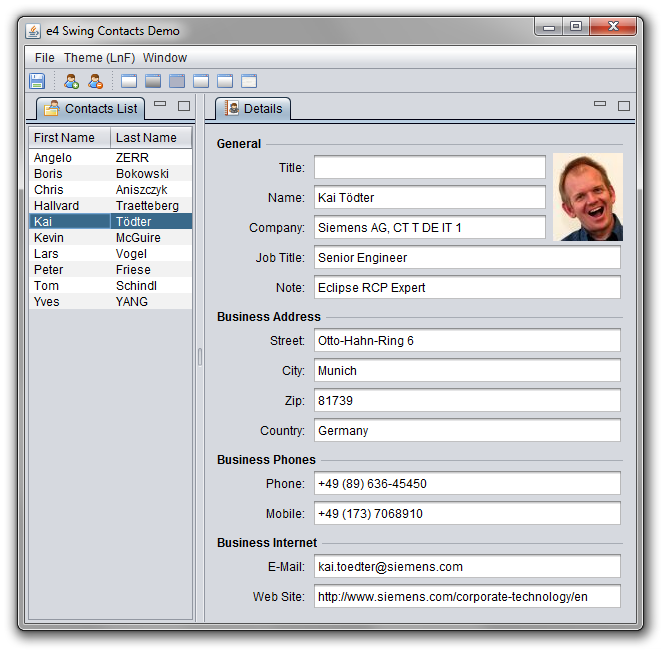 To have a live demo for discussion, I implemented a GWT port of my Eclipse 4 Contacts Demo. In this blog post, I talk a bit about my experience with Google’s MVP (Model View Presenter) approach, including activities, places and event bus. 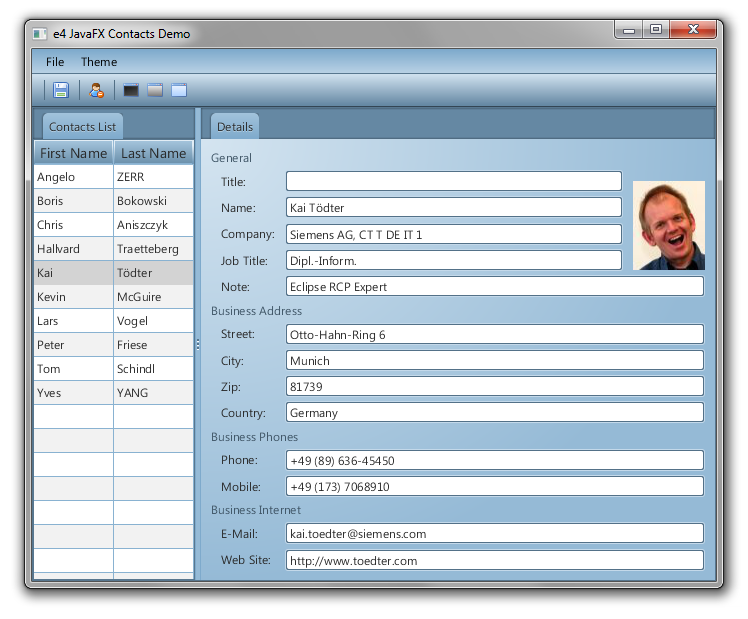 Furthermore about UIBinder in combination with GWT Designer and Presenter testing using Mockito. 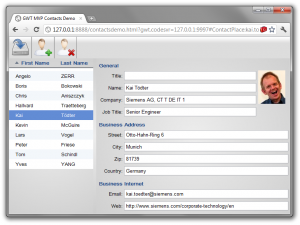 You can find the latest source of the demo at https://github.com/toedter/gwt-mvp-contacts. Here is a screen shot, as you see, I did not focus on nice design. Click on the image to see it in original size. As you see, for laziness reasons I don’t use “Passive View” since I pass a domain object (Contact) to the view. 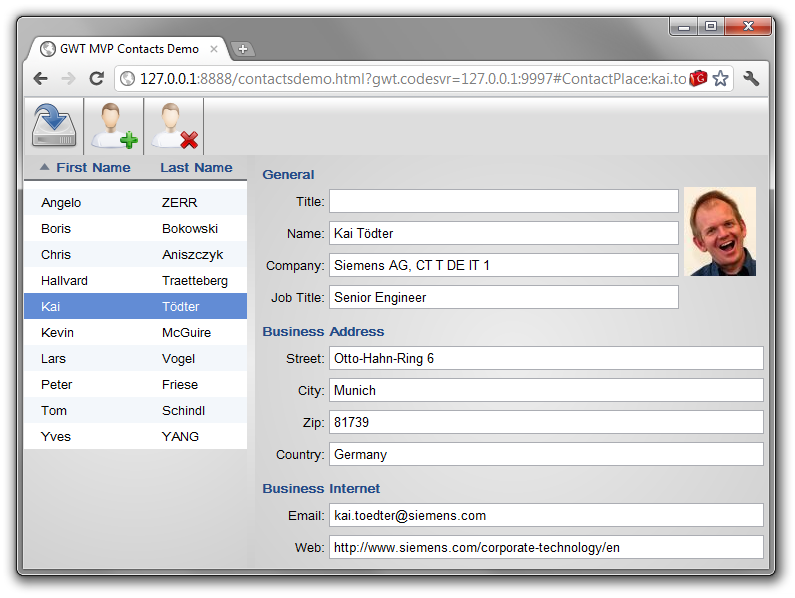 A good introduction into GWT MVP you find at the GWT Web site. If you have a more application-like layout with kind of toolbar and several display regions, you might think you will need nested presenters/activities, but you don’t have to nest them. Thomas Broyer wrote a nice article about this issue, and I used his approach in my demo. 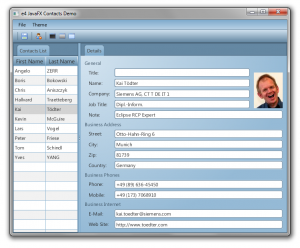 UIBinder splits a UI component into a Java part and an XML/CSS part. That makes it easier to separate concerns and helps designers and developers working together. 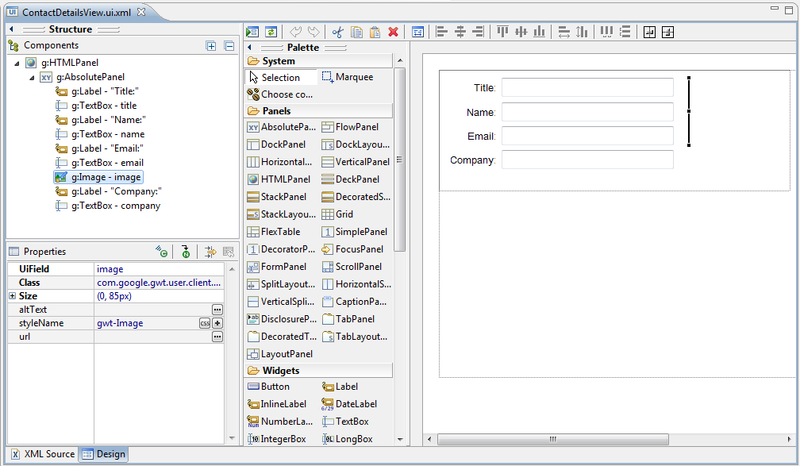 GWT Designer is a nice and free GWT UI Editor for Eclipse. One feature is the automatic creation of MPV related infrastructure, like corresponding activities and places. 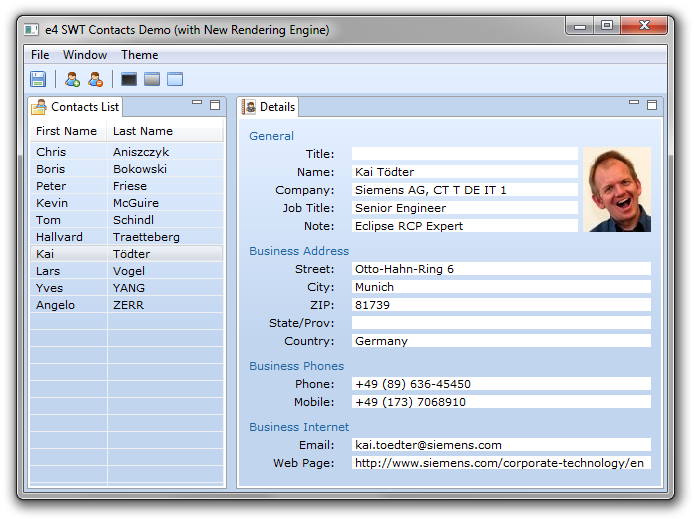 In the demo I have several implementations of the list view and the details view. You can change them by altering the ClientFactory implementation. 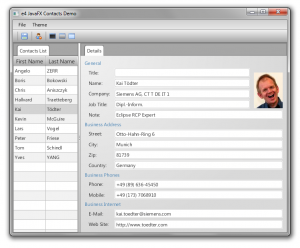 The screen shot below shows a small details view example in GWT Designer, klick on it to see the image in original size. If you are interested in above stuff and happen to be in Munich on January 23th 2012, join my Night School, 6:30pm at the OOP 2012. In the next months I am going to give sessions/trainings at several conferences and other events, mostly Eclipse related. I’d be happy to meet you there. During the last weeks I had a bit of spare time and started experimenting with new rendering engines for the Eclipse 4.x Application Platform. 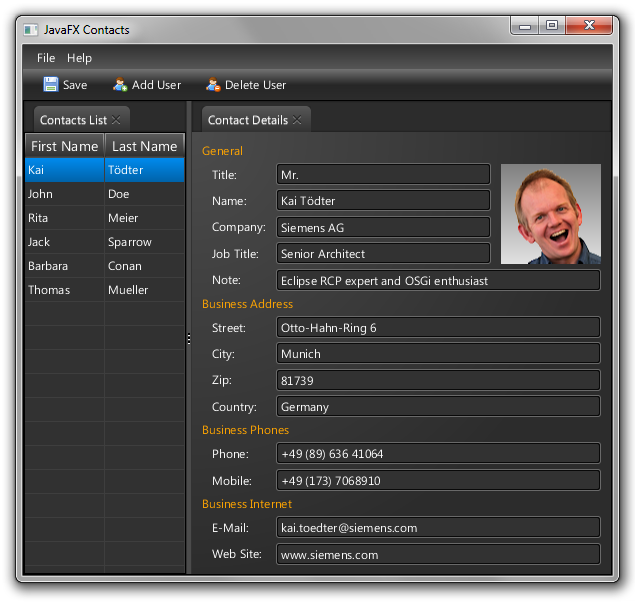 Based on my experiences with JavaFX 2.0 renderers in e(fx)clipse (by Tom Schindl from BestSolution.at, great JavaFX support for Eclipse), I started an experiment: Would it be possible to create a generic rendering engine that only has dependencies to the Eclipse 4.x workbench model and then delegate all UI toolkit specific logic to the UI toolkit specific renderers? When I took a deep look at the projects org.eclipse.e4.ui.workbench.swt, org.eclipse.e4.ui.workbench.renderers.swt and org.eclipse.e4.ui.workbench.addons.swt, I figured out that most of the workbench model related code could be useful for other renderes, too. But there is a very strong coupling to SWT, so it is not possible to reuse any code without copying it. 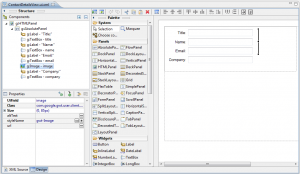 My approach is a simple generic rendering engine, that also provides a generic e4 application. Then, for every supported UI toolkit, just a derived application and new renderers have to be implemented. The basic bahavior is driven only by model changes, the renderes have to react on those changes. The engine also takes care of letting each renderer do the binding from the specific UI toolkit back to the model. 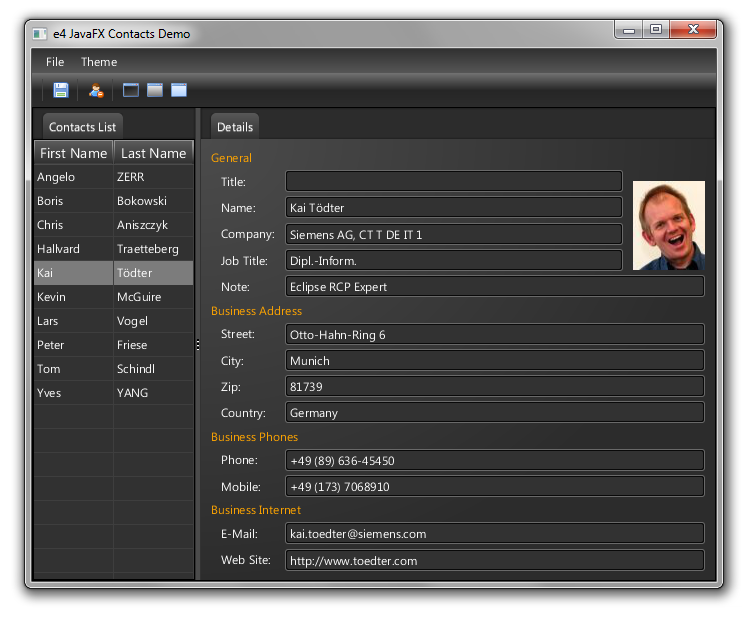 Currently I have implemented simple rendering engines for JavaFX 2.0, Swing, and SWT. I also started the same approach with a generic MinMax model addon. The addon gets the additions needed to adapt to a specific UI toolkit through DI. I reimplemented my e4 contacts demo and split it into a generic project that contains the workbench model, the domain model and all parts, which are not UI toolkit specific. 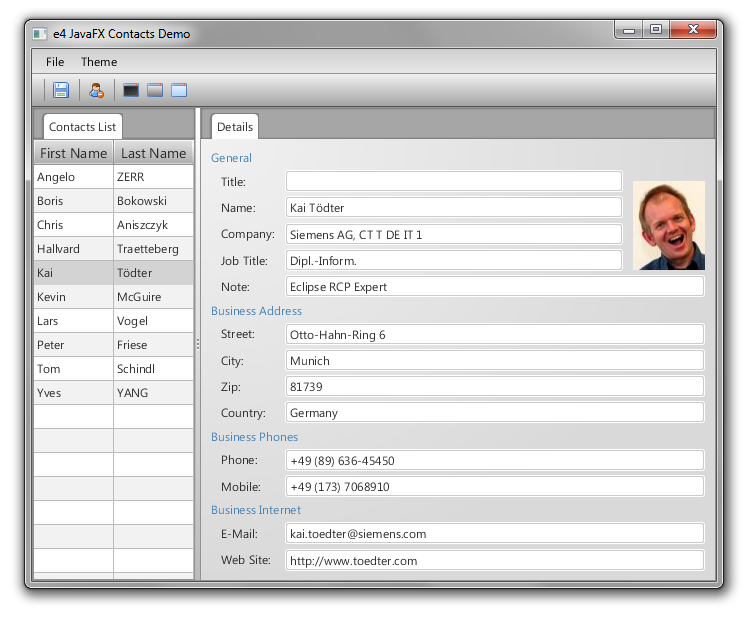 Then I created a UI toolkit specific implementation for JavaFX 2.0, Swing and SWT. 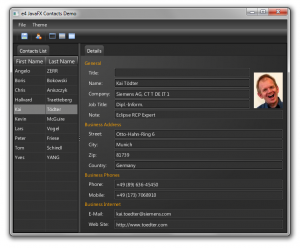 The Details and the Table widgets I had to implement with the UI toolkits natively. Here are a few screen shots of the results, click on them to see the images in original size. 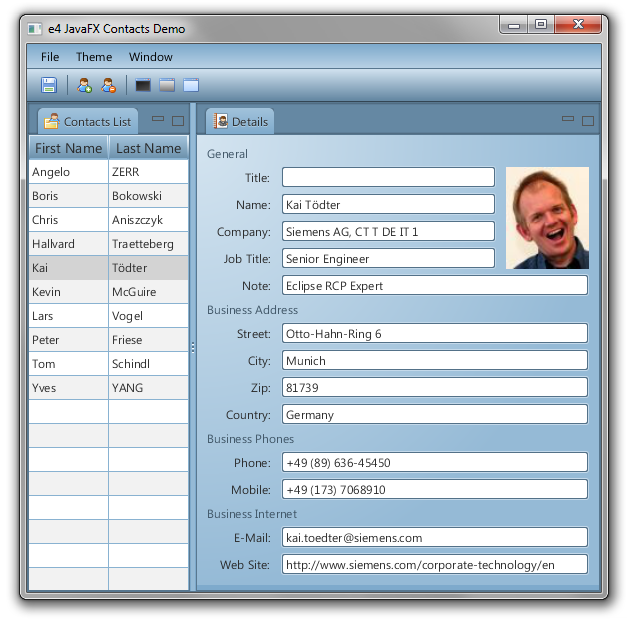 If you want to run the JavaFX 2.0 Contacts Demo, you also need to have the latest version (0.0.11 or better) of e(fx)clipse installed. 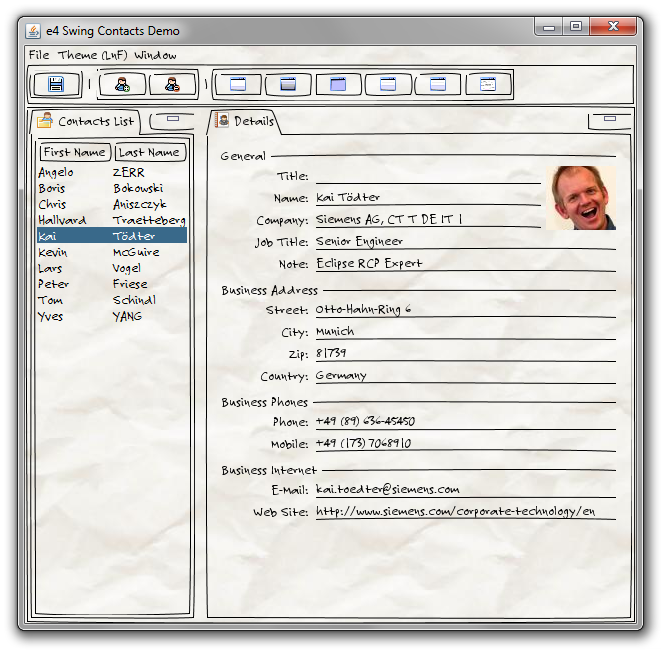 The easiest way is to download the pre-configured Eclipse 4.x SDK from http://efxclipse.org/install.html#the-lazy-ones and then clone the above git repository. Right now this is just a proof of concept, only very basic stuff is implemented. But I am planning to enhance the engine and UI toolkit specific renderers until EclipseCon 2012. If there is enough interest in the community, I would love to organize a BOF at EclipseCon to discuss the pros and cons of this approach. Just click on the pictures to see them in original size. Of course this is just a first start, but to me it looks very promising. If you happen to be at the W-JAX conference during the next days, just grab me and ask for a live demo. 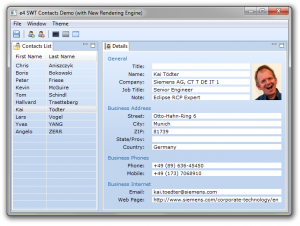 I will also show this at my full day workshop “Rich-Client-Entwicklung mit Eclipse RCP 4.1” on Friday. As soon as we have merged it into the master of Tom’s github repo, I’ll let you know. 2) In the resources section, add the following 4 properties. 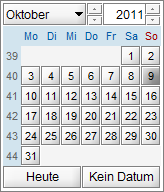 JCalendar provides 2 new methods for setting the “Today “button and/or “No Date” button visible. These 2 buttons are localized by default, but you could set your own labels if you don’t like the default translations. 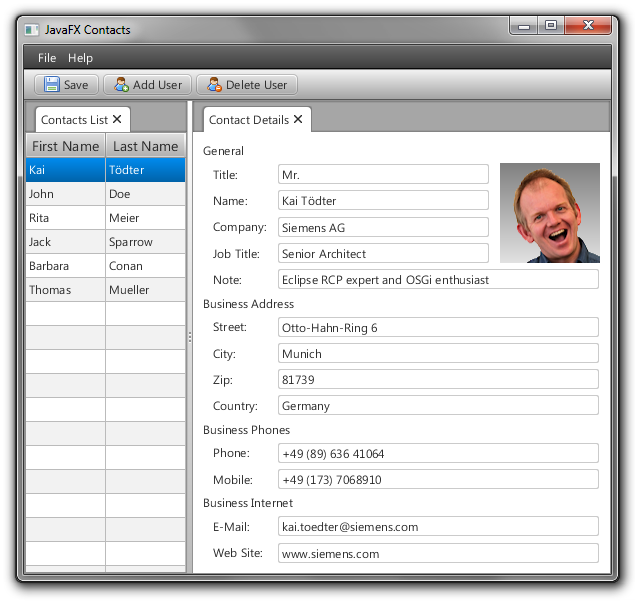 With the interface IDateEvaluator you can add evaluators that decide if a date is special or invalid. 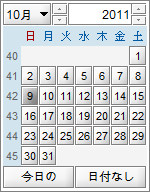 Invalid dates can not be chosen. 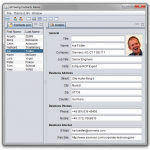 Both, special and invalid dates can have specific foregrounds and backgrounds. In the picture below, day 4 and 5 are invalid and day 6 and 7 are special. 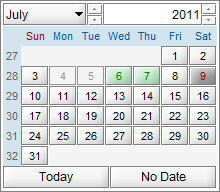 The special days can provide a tooltip that indicate why they are special. 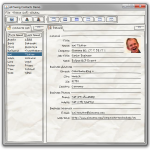 Now JGoodies Looks 2.4.1 is included. The demo now uses different font for the Plastic Look & Feel so that unicode characters are displayed correctly. Also Nimbus Look & Feel is supported better. 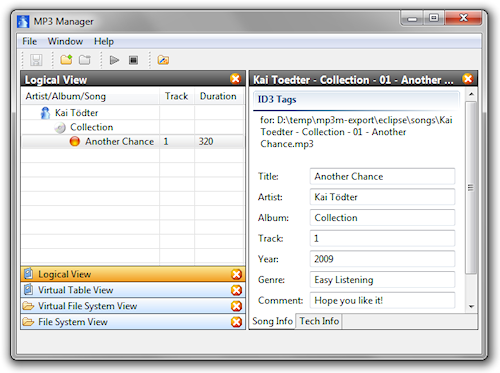 I recently updated my MP3 Manager Eclipse RCP demo to version 3.7.0. The binaries, sources, svn access etc. you find at the project home page. 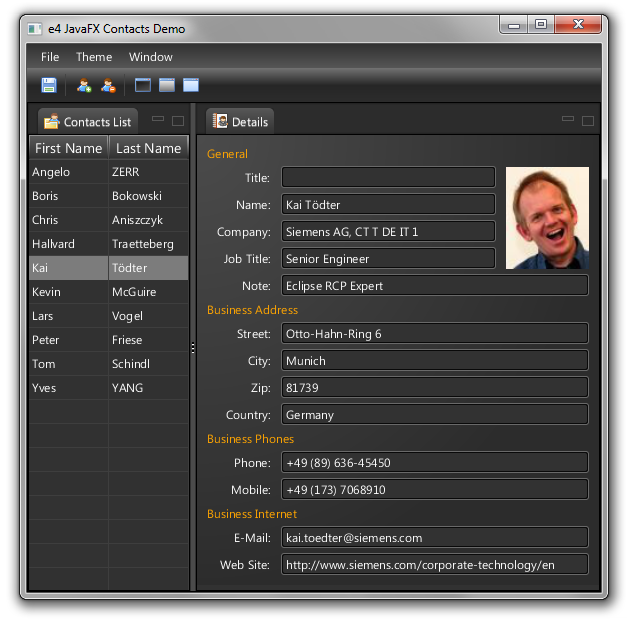 At June 20th, 2011, the Eclipse Demo Camp took place at the Siemens campus in Munich, Germany. From my point of view, the event was just great. We had 165 attendees (which might be a new record for a German Indigo demo camp), 12 excellent speakers, great sessions, enough food and beer and – lots of fun! I would like to thank all speakers for both giving great demos/sessions and staying in their time slot (which is not easy just having 20 minutes): Ralf Müller, Ekkehard “Ekke” Gentz, Peter Friese, Tom Schindl, Ralf Sternberg, Marcel Bruch, Maximilian Kögel, Jonas Helmig, Alexandra Imrie, Benjamin Muskalla, and Sebastian Zarnekow. This was not the first event with 150+ attendees I have organized in the last years, but this was by far the biggest event in terms of food and beer consumption. We had nice Bavarian food and it was gone in 30 Minutes! But everyone got enough, and thanks to the great catering service after the second track there was even more… If I get the numbers a will probably post some statistics. The slides I collected so far you can download here. The award for the funniest demo went to Jonas Helming and Maximilian Kögel for showing off a Microsoft Kinect connected to an Eclipse IDE, controlling the IDE with funny gestures. I see much potential in here!!!. The picture below shows Jonas, Maximilian and the attendees trying out the gestures. I had so much fun at this demo camp that I am planning to organize another one next year… Now I am looking forward to attending the demo camp in Hamburg on June 28th. 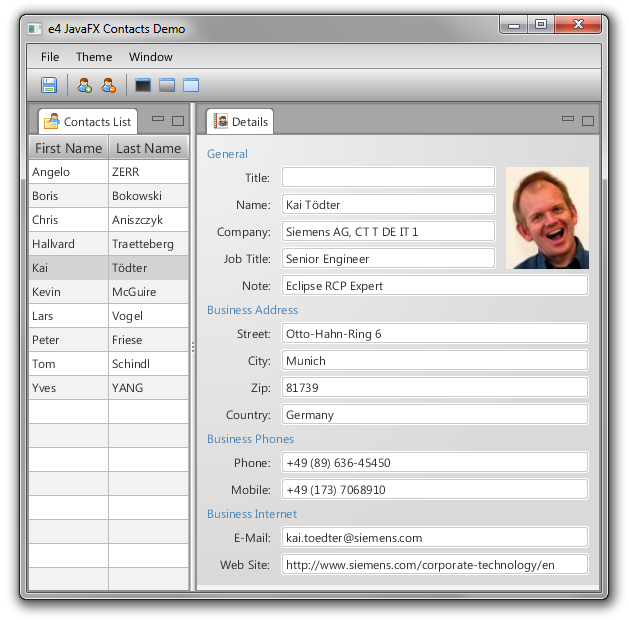 Eclipse Demo Camp @ Siemens Munich => More free Tickets! I would like to thank Daria Motamedi for providing the nice demo camp image as part of her flyer.